Anisodontea El Royo | Piecemeal Plants Nursery in Leicestershire | a plant nursery providing unusual plants, herbaceous perennials and a selection of annuals. Sub-shrub from South Africa. 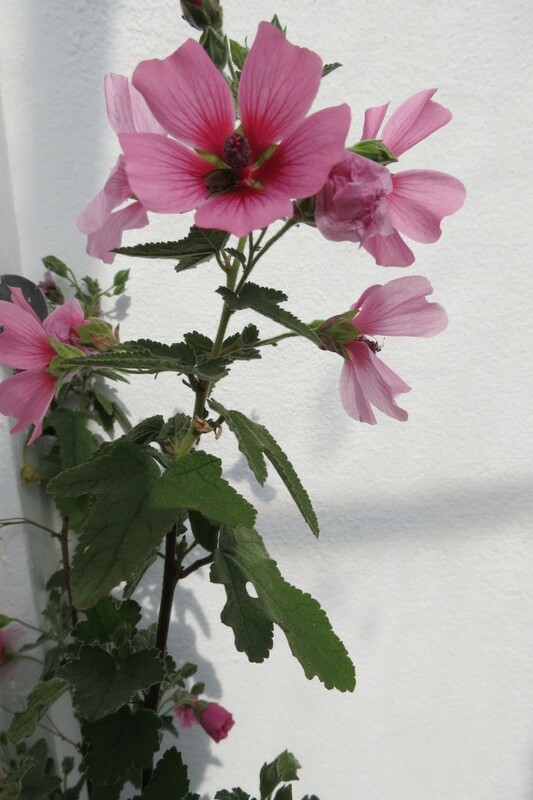 Large, pink, hibiscus-shaped flowers with darker centres. Normally flowers all year round!. Flowering period: Most of the year. Growing conditions: Sunny, sheltered spot. Special note: Easily pruned to shape. Hardiness: Hardy. Should withstand average to cold UK winters. This is an insect-friendly plant which gives bees and other insects easy access to nectar and pollen.